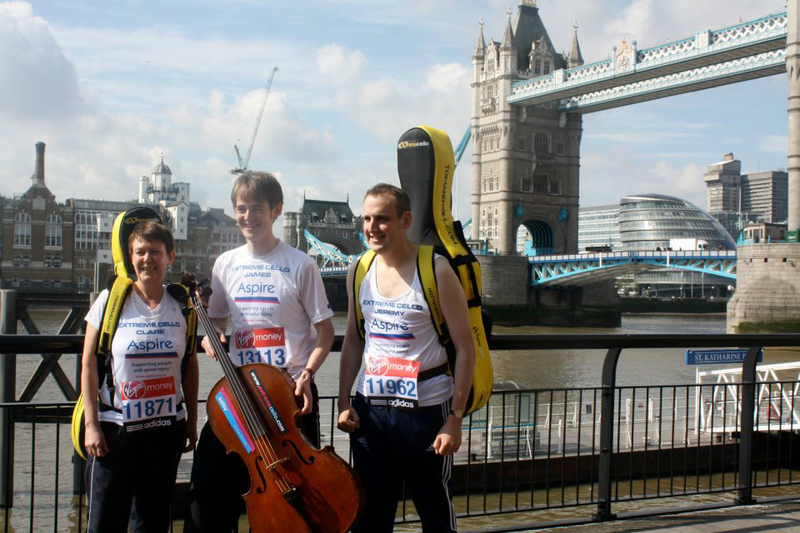 On 22 April 2012, the Extreme Cellists successfully ran the London Marathon carrying cellos: yes, that's 26.2 miles with over 6kg (around a stone) of extra weight. 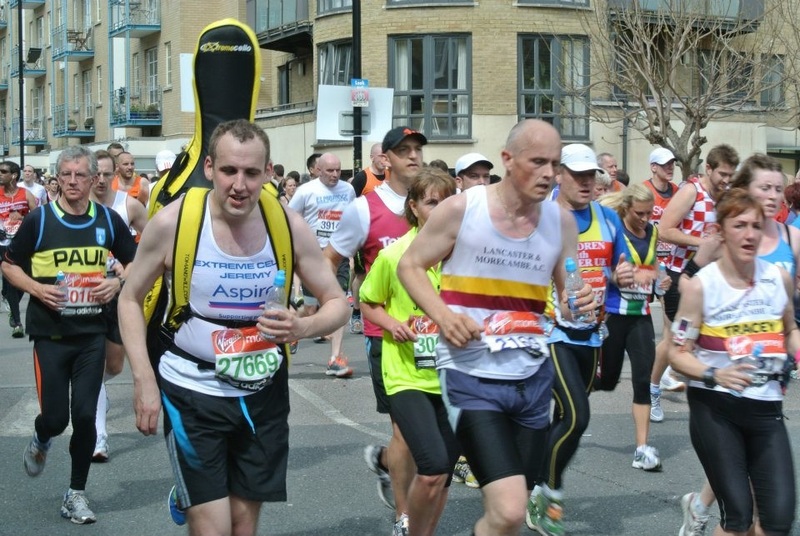 This ridiculous challenge was done to raise funds for the spinal cord injury charity Aspire. 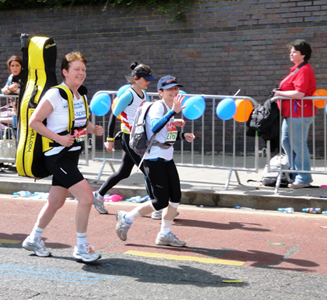 In total, over £14,000 was raised - many thanks to everyone who sponsored us! 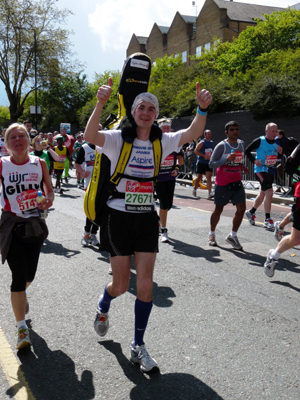 The run itself was very hard work (as can be seen by James nearing the finish line, in the right-hand photo above), and every last mile of the training came in handy as the last few miles were particularly difficult! Nevertheless, it was hugely worthwhile, and the support given to us was nothing short of incredible. We also received some good media coverage: before the race we were interviewed live on BBC TV by British Olympic great and world record holder Jonathan Edwards, which you can see in the clip below!